Good Morning ! Remember the Tulip wreaths we made back in March ? 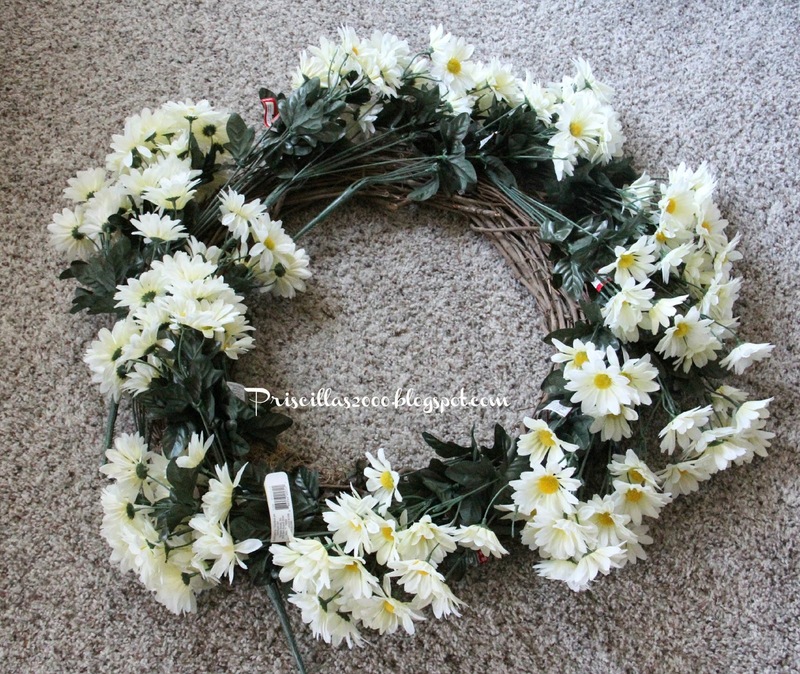 I decided when I was buying those tulips I would make a daisy wreath for the early summer .. 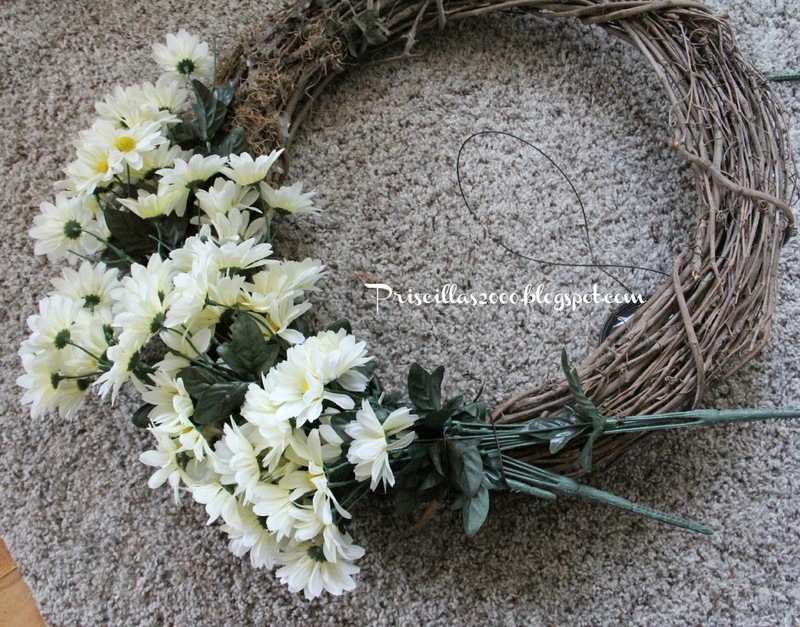 I used a grapevine wreath I already had and I used 15 bunches of daisies . I got these daisies at Michaels , I started with 12 bunches but it was a little sparse in places , so I got 3 more. I used wire to attach the bunches ..just wrap the wire tightly around the bunches about 3 times per bunch. It is really easy ! 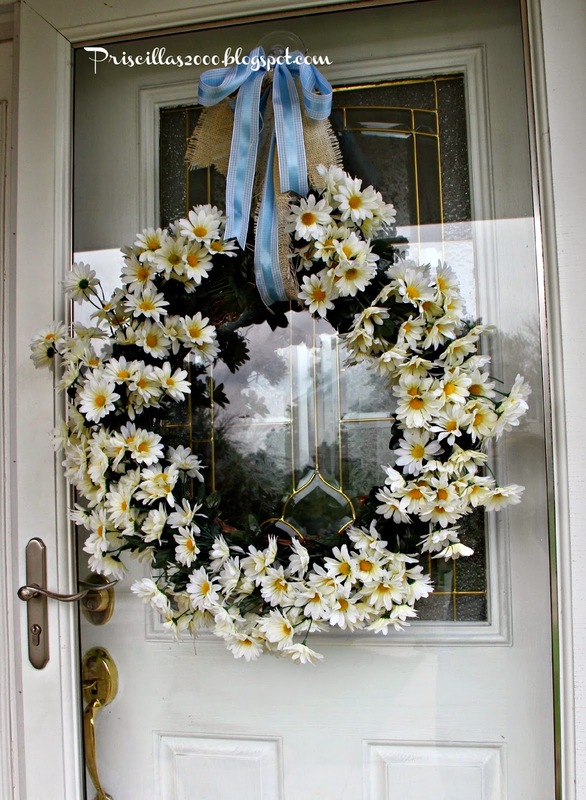 To hang the wreath I used off white burlap and a light blue ribbon and just looped it around the wreath , then tied a bow. It looks so fresh and summery on the door ! Hope you all have a wonderful week ! Thanks so much for stopping by ! I would love for you to follow me on Instagram, Facebook and Pinterest , Etsy..all the links are in the sidebar ! 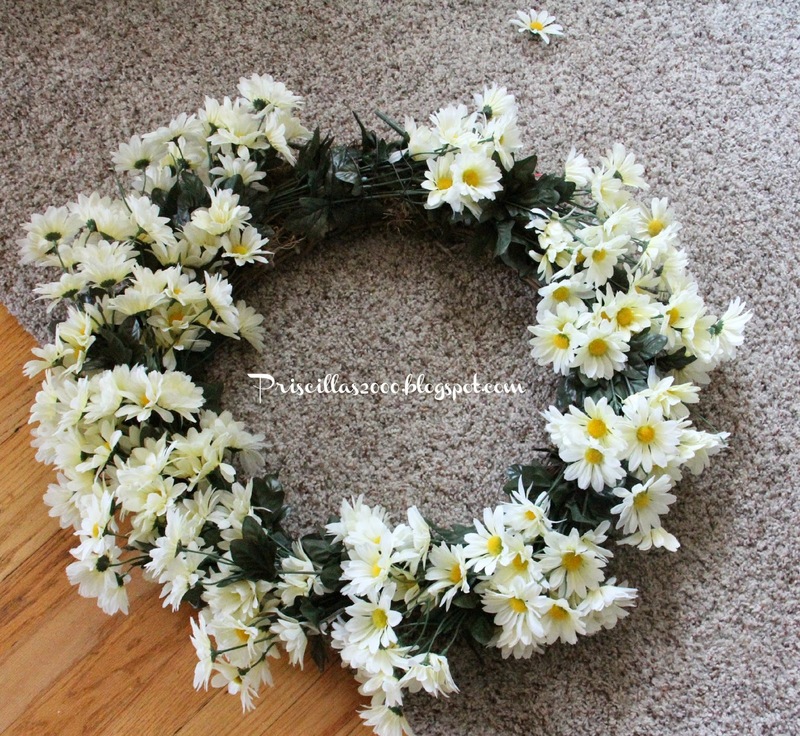 LOVE the daisy wreath!! 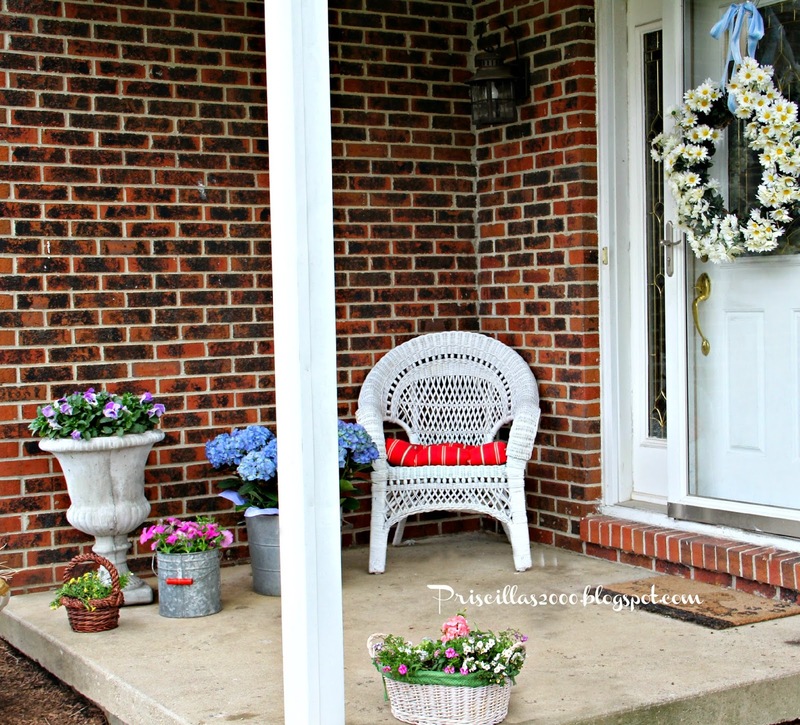 It looks so fresh and inviting on your door!! 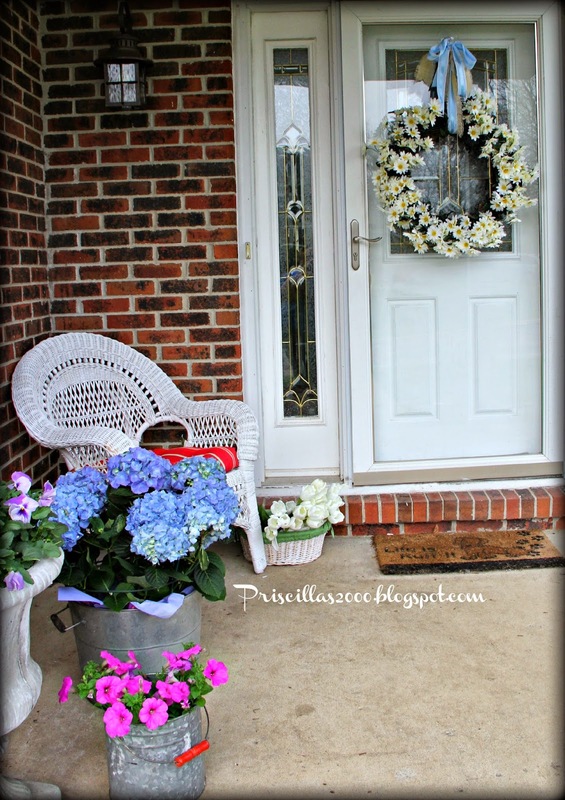 What a perfect wreath for summer! !I love daisies. Plus, it looked easy to make. I love it Priscilla!! So Summery looking!! Your wreath came out great! 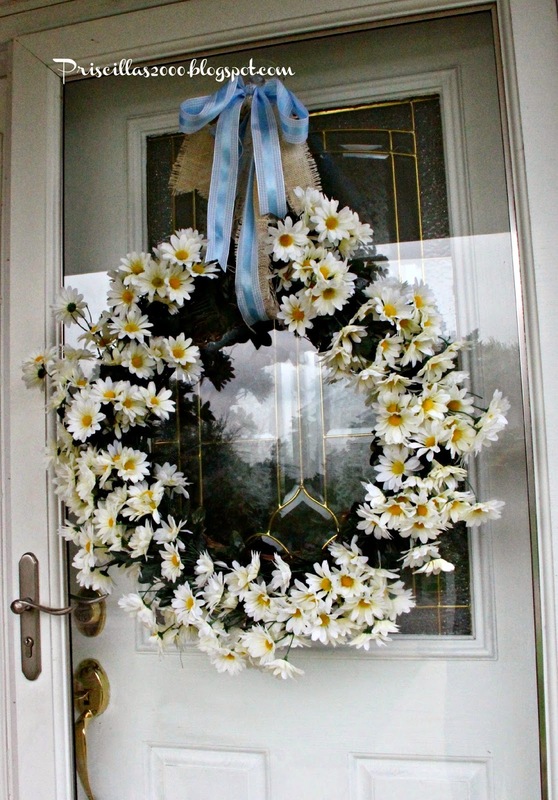 Daisies are one of my all time favorite flower and your wreath is gorgeous. What a fresh and lovely spring idea. Daisies are just the happiest flower. Love how fresh and pretty it is. Priscilla, this wreath is so cheery. Perfect for summer. I love it! Thanks for sharing with SYC. Daisies are so wonderful for summer. 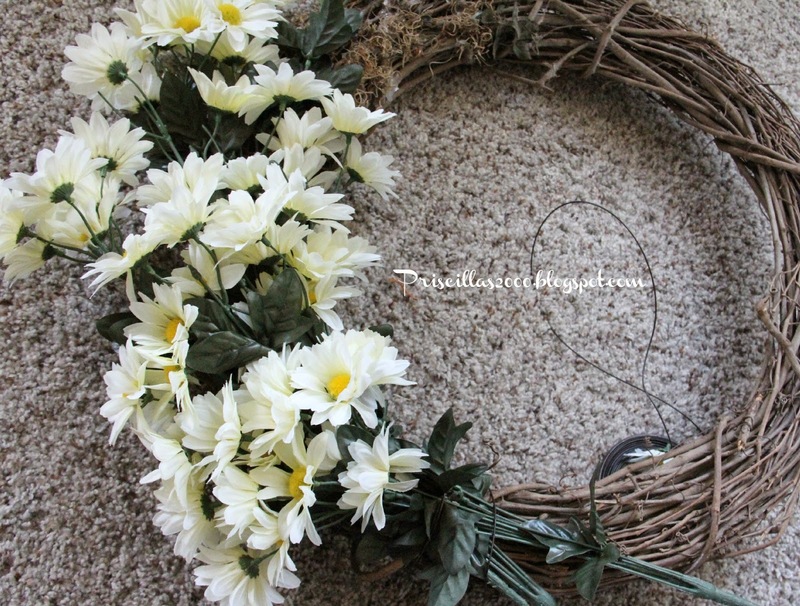 Thanks for showing us how you put your wreath together! your wreath is charming. I learned this year not to put a wreath on my door during mating season. The birds made a nest in the wreath and pooped all over my front door window and porch. Red, White , Blue and Daisies ! Everything's Coming Up Daisies ! Puffy Flowers, Cross Stitch and Thrifting !